George Darrow, Anna Leath’s first love, is finally coming from London to propose to her. However, he drifts to an affair with Sophy Viner, Anna’s daughter’s naïve and young governess. Sophy’s relationship with Darrow and Anna’s family can threaten his success. In this novel, as in many of Wharton’s other well known novels, we see the eternal love triangle. 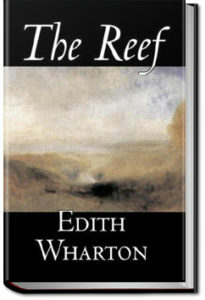 With her sly and lovely writing style, Wharton delivers to us in this wonderful novel a cast of unforgettable characters and many unforgettable scenes which we can vividly imagine. What would Darrow choose: success or love? Would Anna marry him despite his affair with Sophy?